Admirers will flock to fawn over your pet's couture à la mode like paparazzi to celebrities when you purchase our designer dog clothes. Some of today's classiest names in the fashion industry are now creating designer dog clothing, which are available at Funny Fur. Exclusive brands like Juicy Couture now include designer dog clothes and accessories in their collections. 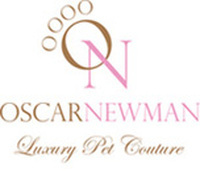 Known as the "Neiman Marcus for dogs," discerning shoppers and their four legged fur babies look to us for the best brands and fashion-forward styles. Funny Fur features exclusive brands from all over the world, focusing on contemporary styles of casual to dressy designer doggie clothes. We carry chic, designer dog clothes like sweaters, hoodies, raincoats, coats, and "glam" formal wear for all of your fur baby's casual to fancy festivities. We have a dazzling array of designer dog clothing. Our canine creations are not limited to designer doggie clothes. Our signature collection includes designer dog accessories, dog furniture, and dog carriers that allow your precocious pet to traverse the continent in style. We invite you to step into the stylish world of canine fashion. Our trendy designer dog clothing will delight you. At Funny Fur you will find all the designer small dog clothes you fancy. Transform your pup into a prince or princess with designer dog clothes from Funny Fur today!